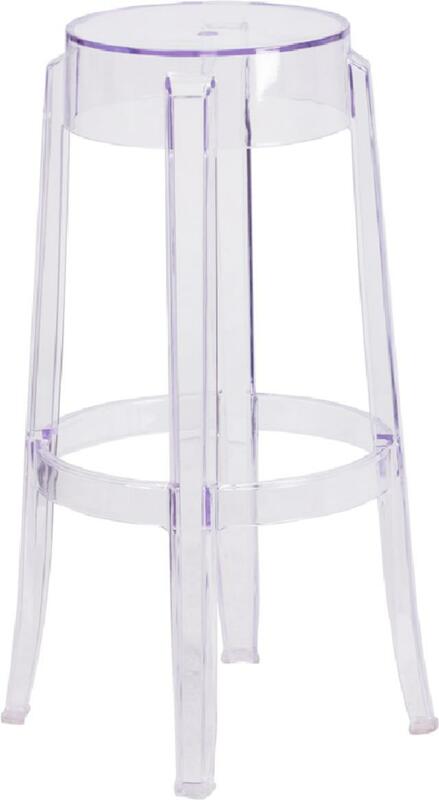 The shape and gently flared legs evoke classic 19th Century design, but the stool is perfectly suited for modern life. The transparent finish will lighten up any room and provide sophistication to your kitchen, bar, game room or restaurant. With the added benefit of being able to stack, it provides the perfect type of seating when wanting a clutter free floor.